The US Senate has approved a $602 billion defense budget that includes a provision requiring women to register for the Selective Service, otherwise known as the draft. The measure would require women to register for the draft if they turn 18 on or after Jan. 1, 2018, or risk losing federal aid, such as educational Pell grants. The bill, approved on June 14, still has a way to go before it becomes law. But it’s already reopening debate on the evolving role of women in the armed forces. In 1981, the US Supreme Court ruled that women were exempt from registering for the draft because they would not serve in combat roles. 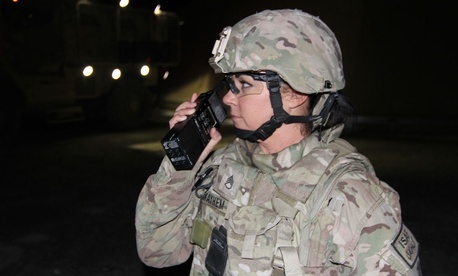 But in December, US defense secretary Ash Carter announced that all military positions, including combat and special operations, would be open to women. “After months of rigorous oversight, a large bipartisan majority on the Armed Services Committee agreed that there is simply no further justification to limit Selective Service registration to men,” said senator John McCain, the Republican from Arizona who chairs the Senate’s Armed Services Committee. Some of the most vocal opposition to the measure came from senator Ted Cruz. “The idea that we should forcibly conscript young girls into combat, to my mind, makes little or no sense,” the Texas Republican said, according to a report from Politico. The version of the defense budget passed by the House does not contain any requirement for women to register for the draft, and both chambers will have to reconcile any differences in their bills to push the legislation along. There’s also a looming threat from the White House to veto the bill for other reasons, including limits it proposes to place on closing the Guantanamo Bay military prison.